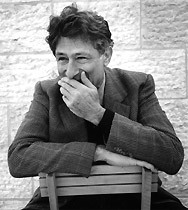 Borrowing its title from the author's 2000 memoir, OUT OF PLACE traces the life and work of Edward Said (1935-2003), the Palestinian-born intellectual who wrote widely on history, literature, music, philosophy and politics. 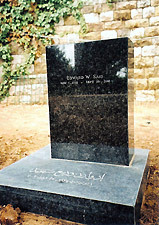 Filmed in Palestine, Israel, Lebanon, Egypt, and the U.S., this feature-length documentary traces Said's childhood influences and celebrates his intellectual legacy, especially the importance of his work in literary criticism and postcolonial studies, his love of music, his role on the Palestinian National Council and his troubled relationship with Yasir Arafat. Visiting the sites of his birthplace in Jerusalem, his boyhood homes in Lebanon and Cairo, and his New York City apartment, OUT OF PLACE explores Said's status as a refugee, his sense of always feeling "out of place"—personally, geographically and linguistically—a theme he developed in his memoir, explaining how everyone, in a sense, is comprised of "multiple identities." OUT OF PLACE imaginatively blends readings from Said's memoir and other key writings, family home movies dating back to 1947, and interviews with Arab, Israeli and American thinkers, including many of Said's colleagues, family and friends, who offer personal reminiscences as well as statements on the importance of his work. Among the notable educators, historians, novelists, politicians, and artists who appear in the film are Ilan Pappe, Elias Khoury, Azmi Bishara, Daniel Barenboim, Rashid Khalidi, Michel Warschawski, Noam Chomsky and Dan Rabinowitz, among many others. The themes of reconciliation and coexistence that Said fought for throughout his life are further illuminated by a visit with a Palestinian family in a refugee camp in Syria and a family of Mizrahim (Arabic Jews) in Israel, a memorial conference held at Bir Zeit University on the West Bank, and scenes at other sites in Israel and the West Bank. OUT OF PLACE is thus both a fascinating biographical film on one of the most acclaimed cultural critics of the postwar world as well as an engaging examination of many of the cultural and political issues to which he devoted his life.